Bombay High Court upholds rejection of Shagun Gogia as board member, terms two director appointments invalid. The Bombay High Court on Wednesday termed "invalid" the appointment of two directors on YES Bank's board and declared that the proposed appointments of three others - Rajat Monga, Sanjay Palve and Pralay Mondal - were void. For two other board members, the court questioned their appointment as independent directors. In a ruling that can be termed as a setback for the Rana Kapoor camp, the court said the appointment of board members be exercised jointly by the promoters, not individually. "Although the right to recommend is the right to nominate, it is an indivisible right and must be exercised jointly," the order said, adding "any recommendations made by the first defendant, Rana Kapoor, without the concurrence and consent of the plaintiffs [Madhu Kapur and Shagun Kapur Gogia] are also ultra vires the Articles and are null and void." The plaintiffs - wife and daughter of YES Bank co-founder Ashok Kapur, who died during the November 26, 2008, Mumbai terrorist attack - had appealed to the court to have the right to appoint directors on the board of the bank. Two years ago, Madhu Kapur had moved court, claiming her right as the bank's co-promoter was violated and she wasn't consulted before the bank had appointed a few directors on its board. In some relief to the YES Bank management, the court rejected the demand to appoint Shagun Kapur Gogia on the board of the bank, a move that was turned down by the YES Bank board earlier on the grounds that she lacked sufficient experience. Also, the court rejected all the contentions raised against Rana Kapoor and upheld his appointment as the managing director and chief executive for three years. It also observed that under his stewardship in seven years after the death of Ashok Kapur, YES Bank had grown tremendously. 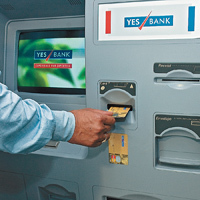 YES Bank has said it would decide on the further course of action in due course. "The high court has in any event also stayed the operations of its own judgment for a period of five weeks from today, that is, June 17. Thus, there is no immediate impact whatsoever on the bank's board of directors or its management. Few procedural infirmities were pointed out by the court, which are curable, and the bank and the board of directors do not foresee any material impact even in the mid to long term," YES Bank said in a statement. Terming the impact of the order on the bank "minimal", YES Bank said the reservations expressed by the court with the respect to the appointment of some of the directors had already been addressed in the ordinary course and any further necessary procedural steps required would be taken in accordance with the law. Earlier, Madhu Kapur had contested the appointment of M R Srinivasan (non-executive director) and Diwan Arun Nanda (independent director) on the grounds that they were both above the age of 70. This is up for hearing on Thursday, even though the shareholders have approved their appointment. Reacting to the order, Gogia said she felt vindicated. "As much as it was a Kapur versus Kapoor case, it was also a case of right versus might," she added. Two other board members - Diwan Arun Nanda and Ajay Vohra - required to be appointed by a "properly called general meeting"